Danganronpa 1.2 Reload is a visual novel developed by Spike Chunsoft and published by NIS America. It originally was release for the PlayStation Vita, but has found its way to the PlayStation 4. Will it earn its place in your PlayStation 4 library, or will it be another one to miss? read on to find out! 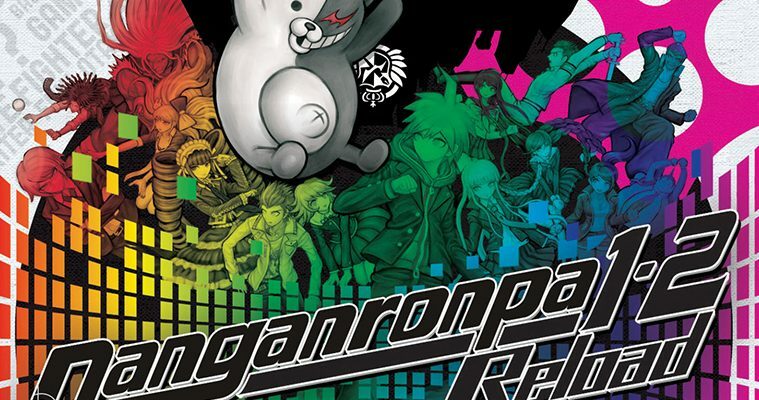 Danganronpa 1.2 is split in to two games, Danganronpa: Trigger Happy Havoc and Danganronpa 2: Goodbye Despair. I will take this opportunity to brief you on both of the games. 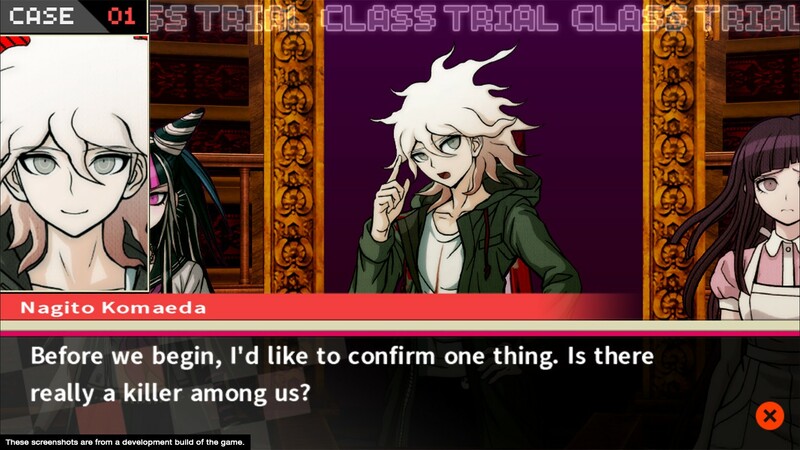 In Danganronpa 1 a group of 15 students receive invitations to join the prestigious Hope’s Peak Academy. These students are known as ultimate’s and highly excel in a particular specialty, earning them there title of ultimate – such as ultimate baseball star, ultimate pop icon etc. Then there is you, ‘Makoto Naegi’, the ultimate ‘lucky student’ as you have no real talent you just happened to receive this invitation by chance. Once you arrive at the school everything seems normal. Suddenly you black out. Once you wake up you discover the other 14 students, and together you come across the psychotic bear Monokuma. Monokuma informs you that you are trapped in the academy with no way to escape, unless you can graduate. However, in order to graduate you need to murder one of your fellow ultimate students and get away with it. 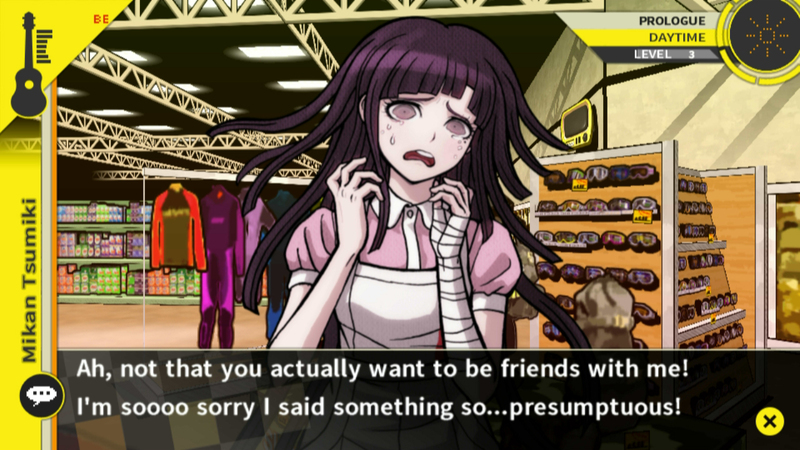 Danganronpa 2 is much the same premise as the first game. You start off becoming a member of the ‘famous’ Hopes Peaks Academy. 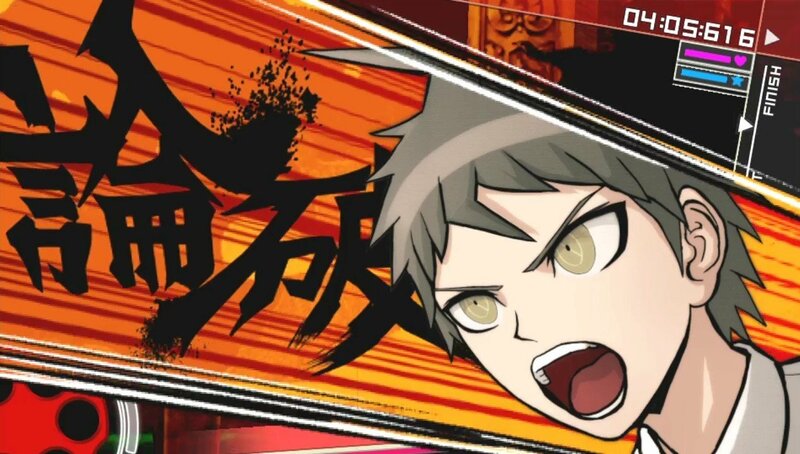 You play as student Hajime Hinata and yet again, you find yourself amongst a group of ultimate students. This time you are informed by a similar character to Monokuma, named Usami, that she is the leader of a school trip you’ll will all be taken on – effective immediately. Curiously you all depart for the trip and before you know it, you find yourself on a deserted desert island. Now with everyone panicking, Usami proceeds’ to tell you to forget about the academy & school, enjoy the island and get to know one another better. After exploring the island for a bit you are greeted by Hope’s Peak academy headmaster Monokuma, who informs you that the only way to escape the island is to once again kill a member of the ultimate students and get away with it. The graphics in 1.2 Reload are simply lovely. They are clean high res images that are a joy to look at throughout your time trapped in one of these two situations. Navigating throughout the school/island is also a joy to do due to the well presented environments, that are nice to look at and even nicer to explore. Another positive I have about the graphics is the loading screens, or lack of. When you enter a new area the backdrop and characters are the loading screen, so as it loads the level comes together almost like a jigsaw puzzle. The only graphical gripe I have with the game is some of the stills have been stretched from the previous game to fit the ps4 screen, this results in pixelated and sometimes unclear images, which is a bit disappointing. Oh, and the blood is pink. 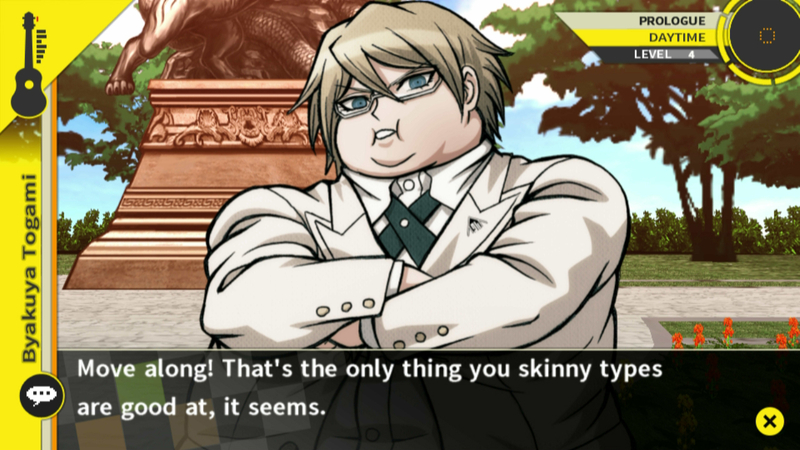 The Audio in Danganronpa is fantastic also. The sound track is small but it is catchy and plays appropriate tracks in every situation – and it definitely can create tension between students. The sound effects in the game are also well done and create a little bit more depth when trying to escape one of these dreaded places. The game also supports both English and Japanese voice overs, although its isn’t voiced throughout. The bits that are really help add to the overall immersion of the game though. Like the graphics, I only have real single gripe with the audio. That is the fact that on the title screen where you choose one of the two games the introduction audio is muffled and sounds distorted, however its only for a brief second when you load the game up so all is forgiven. The gameplay is where these two games obviously shine. You are free to explore either of these two locations at your leisure, unlocking more areas as your progress. Whilst doing this you find all sorts of potential clues and objects that may be essential later on in the game. This is done in your free time. You can also interact with the other students and build relations with them, this is also essential for later on in the game, as you can pair certain traits of the students to the murders and ultimately find who the blackened is (AKA WHO DUNNIT). The murder trials themselves play out in a typical phoenix wright style. A theory is stated, then you must backup the theory or dispel the theory with evidence that you have collected throughout your free time. The murder trials play out in a continuous barrage of text only leaving you a certain amount of time to think and present your evidence. Throughout these trials you can also use skills that you unlock in your free time to assist you in finding the murdered. Overall this game is fantastic for those who love visual novels and even those looking to get in to them! This was personally my first visual novel and I thought it was truly an enjoyable experience. The writing and general storytelling of the game contains all you could possibly want. Its funny, sad, ludicrous and just downright incredible at times. It has just the right amount of text to exploring and the murder trials are puzzling yet rewarding and keeps you engrossed till the credits roll.